We are a leading Manufacturer of pen stands, revolving pen stands, tea coasters, key hangers, key hangers with envelop holder and decorative clock from Mumbai, India. We are a unique entity in the market, actively committed to offering our customers a unique range of Pen Stands. These pen stands are not just sturdily built but also look alluring. The offered product is designed by our skilled team members and is available with us in a number of shapes, sizes, and designs. Furthermore, these products are checked on different quality parameters for assuring their flawlessness and are available at economical rates. Being a noteworthy organization of this industry, we are occupied in offering an extensive array of stylish Revolving Pen Stands. The given product is reckoned for its elegant design and sophisticated built. These are designed under the supervision of our diligent professionals by utilizing superior quality material and innovative technology. It is also quality checked on various parameters to deliver zero defect products to our esteemed clients. Further, we offer these at affordable rates. 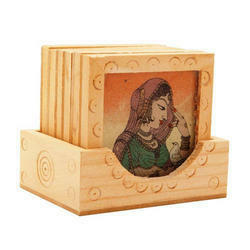 With vast domain experience, we are actively involved in offering a premium quality range of Tea Coasters. 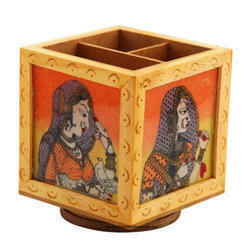 These coasters are designed with precision and are extremely light in weight. The offered product is accessible in different sizes and patterns to meet your specific needs. The product is fabricated by using top-notch material under the strict vigilance of our skilled professionals in tune with the latest market trends. Further, our customers can get this at a reasonable price. We bring forth a wonderful collection of Key Hangers that is used to safely keep the keys. The offered hanger is different from other products owing to its quality attributes like superior quality and shiny finish. Our provided hanger is designed by our skilled professionals with supreme quality raw material and cutting edge technology in line with industry norms. Moreover, this hanger is availed in the market at market leading prices. 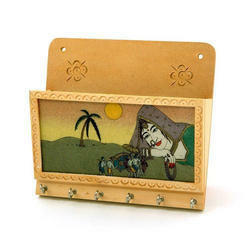 We are one of the leading manufacturers & exporters of Key Hangers with Envelop Holder. 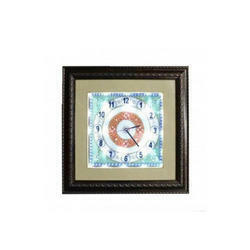 We are one of the leading manufacturers & exporters of Decorative Clock. 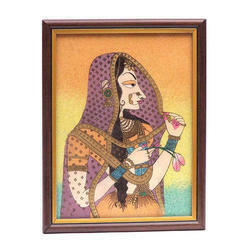 We are one of the leadingf manufacturers & exporters of Indian Paintings. 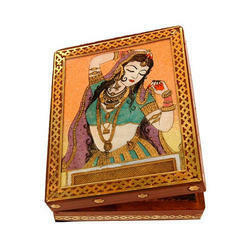 We are one of the leading manufacturers & exporters of Jewelery Box. 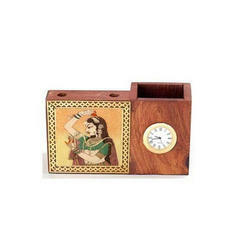 We are one of the leading manuifacturers & exporters of Pen Stand with Clock. 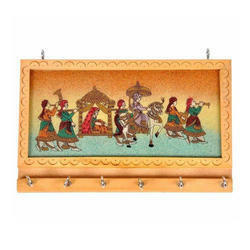 We are one of the leading manufacturers & suppliers of Serving Tray.